Though California law allows people in local jails to refuse interview requests from Immigration and Customs officials, more people in San Diego agree to be interviewed without a lawyer than the number who refuse. That was one revelation from a legally mandated forum on the law’s implementation before the Board of Supervisors Tuesday. That’s one revelation from Tuesday’s San Diego County Board of Supervisors meeting – a legally mandated forum on the implementation of the Truth Act, a California law that went into effect in 2017 that aimed to bolster jail inmates’ awareness of their rights regarding interactions with federal immigration authorities. The Truth Act requires that when ICE places a detainer on someone – or a request to transfer a person from local law enforcement custody to immigration custody – that the local law enforcement agency must provide a copy of the request to the individual affected. 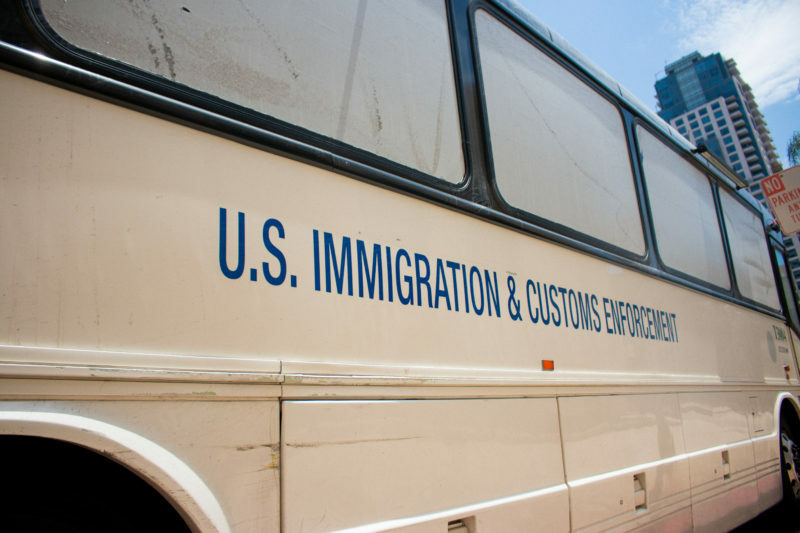 It also requires immigrants to sign consent forms if they agree to an interview with ICE while in a local jail to determine their eligibility for deportation. Before signing, they are supposed to be read their rights, and can decline the interview. Finally, it requires that beginning this year, local governing bodies must hold community forums if the law enforcement agency under their purview had allowed ICE to access any individuals in their custody that year. Undersheriff Michael Barnett from the San Diego Sheriff’s Department said the department was adhering to the Truth Act and to other laws governing the agency’s interaction with Immigration and Customs Enforcement. The department’s handling of those laws has made San Diego the “safest urban county in the state,” he said. In 2017, the Sheriff’s Department processed over 82,000 inmate releases, said Lt. Roderick Smith. Of those, 1,143 individuals were released to ICE, or 1.4 percent of the total releases that year. The trend grew more pronounced in 2018. Although fewer people overall were released to ICE and could be interviewed by immigration officials because of the implementation of the California Values Act, more people agreed to be interviewed than those who didn’t. In 2018 so far, 84 people in Sheriff’s Department custody agreed to an interview with ICE agents without an attorney, while only 76 outright refused interviews. Twenty-three individuals agreed to interviews with an attorney present. “There are a higher number of individuals who are accepting ICE interviews without an attorney than who are refusing,” Gomez said. Gomez said those numbers suggest people don’t really understand their rights. She was also concerned that the Sheriff’s Department didn’t have a good way to communicate people’s rights and what they were signing in languages other than English. But the San Diego Sheriff’s Department clarified to Voice of San Diego that the Truth Act requires the consent forms be made available in English, Spanish, Chinese, Tagalog, Vietnamese and Korean. Later in an interview, Gomez said that the Sheriff’s Department’s forms are in compliance with the Truth Act. The Sheriff’s Department will release people into a reception area, where ICE will then take custody, for example. That’s not officially considered a transfer to ICE by the Sheriff’s Department, Gomez said. But she considers it one. Maria Elena Morales, who works with the American Civil Liberties Union of San Diego and Imperial Counties, said she came to the meeting with her son, but when he walked in, he told her he didn’t feel like he belonged there. The members of the Board of Supervisors said hardly anything in response to the comments and information presented. Supervisor Dianne Jacob asked the only question, after one public commenter accused the county of violating the Truth Act because the meeting wasn’t really a forum. “Are we in compliance with the Truth Act?” Jacob asked the county counsel. “It really came across as the Board of Supervisors just checking off a box that they did this,” Gomez said later in an interview.